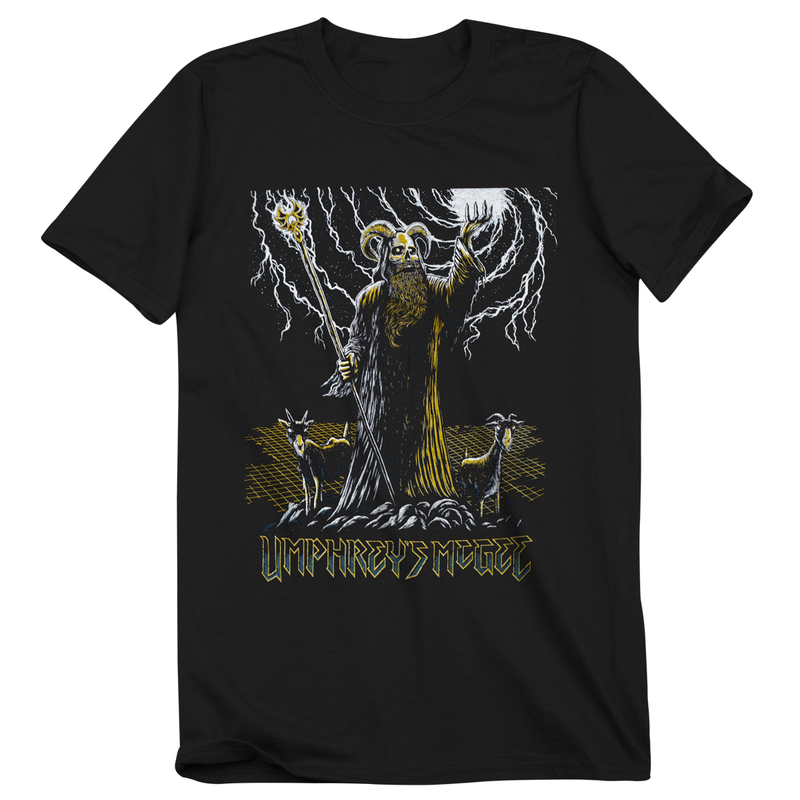 Our popular death metal goatman design by artist Pete Schaw is now available in t-shirt form. Printed on Comfort Colors heavyweight t-shirts, this is the perfect choice for fans who dig the darker side of UM. It fits well and has a killer design. It also goes well with my collection of death metal goatman wizard t-shirts and a great addition to my umphreys shirts.